I’m planning a month-long trip to New Mexico this Spring, and the release of this book couldn’t have been timed better. 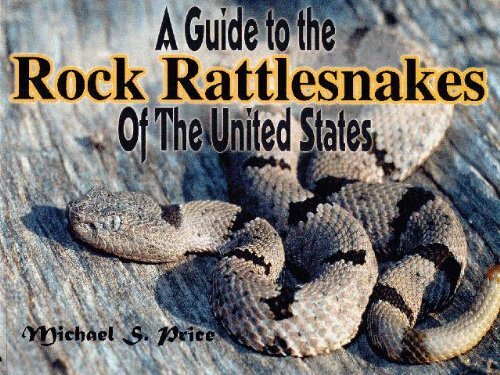 A Guide to the Rock Rattlesnakes of the United Snakes, by Michael Price, got here a few days ago and I’m glad I bought it. First, this is, as Mr. Price put it, “intended to be a ‘science’ book”, and that it isn’t. The majority of the book is photography by the author and a few other field herpers, sprinkled with a couple pages of text here and there that more or less give some context to the next grouping of photos. Though lean on the science, what is there can be pretty useful. The phenotype information is about as detailed as the book gets, but this is very useful when combined with the maps, habitat shots, and various shots of lepidus from different mountain ranges. The real stand-outs are the animals, of which Michael Price has done a great job showing off the amazing variation of the species. The photography is very good, though I do wish there were a few more scenic shots of the animals in their environments. The part that is personally most useful are the habitat shots. Each mountain range is a little different, and it takes some work to find that sweet spot where everything is just right for snakes. I even recognized one rock photographed in the Guadalupe Mountains, where every time I drive by, makes me think “I bet that place is crawling with leps.”. Now I know for sure it is, and this will be one of the first places I visit on my trip. All in all I think it’s a great book to have if you’re a lepidus lover, but not the best if you have a more casual view of them. While pages and pages of pictures of different rock rattlesnakes is very interesting to field herpers, it might not be the best way to spend $25 if you don’t actually plan on someday visiting all of these. A Guide to the Rock Rattlesnakes of the United States is available on Amazon.com, and in the bookstore on this site. This entry was posted on Monday, March 22nd, 2010 at 4:26 pm	and is filed under Field Herping, Research. You can follow any responses to this entry through the RSS 2.0 feed. You can leave a response, or trackback from your own site.